Would you Like To Add Pom Poms? *What Breed Of Dog Is This Jumper For? Maximum image width: 1400 px. Maximum image height: 1400 px. The history of handmade clothes is incorporated in the classic weave of this milk caramel dog jumper. This classic dog sweater is an ideal option for walks in winter, autumn and spring. It is also perfect for keeping your dog warm at home - you can fold the neck of the sweater over. It is soft, perfectly tailored and distinctly finished - it will become your dog’s favourite outfit, and you will enjoy the superb quality of this piece. This luxury dog jumper is handcrafted. 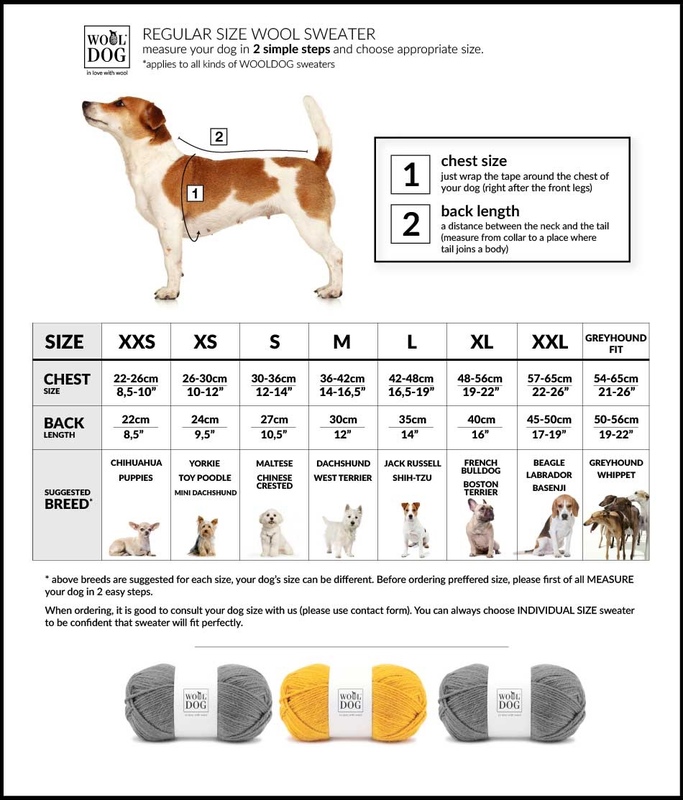 If you are ordering a jumper for these breeds, we require your dogs exact measurements to ensure the jumper fits perfectly and to prevent returns. 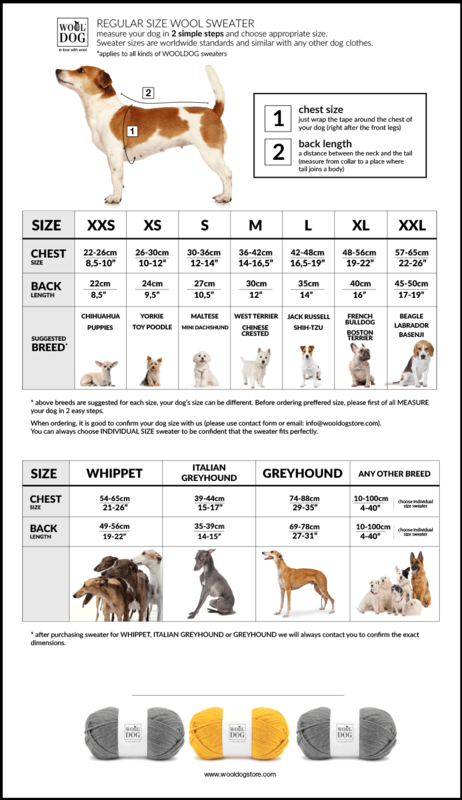 Please enter your dogs length and chest size by using the diagram above into the box provided under the size options. PLEASE NOTE: All Wooldog products are handmade to order and shipped from Poland so please allow 1-2 weeks for delivery and sometimes a little longer during peak periods. Should you need to return or exchange a Wooldog product, you will have to send the item back to them directly in Poland. All Wooldog items are excluded from our free UK delivery offer.